Obtain Mortgage Loans At Some Of The Best Rates Ever. Loan Amounts Available £10,000 - £1.5Million. Home Loans / First Time Mortgages / Remortgages / Equity Loans. 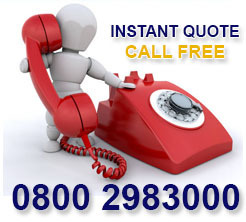 Low Rates, Good & Adverse Plans - All Quotes Free. Taking on a mortgage loan is an exciting decision for any of us and getting the right loan at a low rate for your specific circumstances has to be the top priority. Another vital factor is being able to get all the facts and figures detailed to you swiftly and without obligation before you make a decision or spend any money. 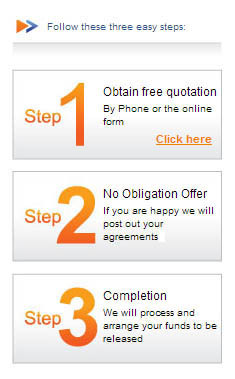 Fortunately through our 25 years experience in the mortgage loan sector we have streamlined our customer journey to do just that - provide you with a free confidential quotation with all the numbers and mortgage loan details so you can decide what to do in your own time . 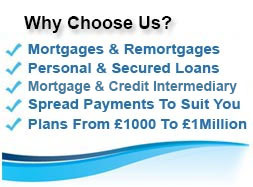 To join our wealth of customers who have already obtained over £1 Billion In Mortgage Loans call our UK based team for free on 0800 298 3000, dial mobile friendly on 0333 003 1505, or fill in our short on line enquiry form and we will call to suit you. Used to obtain larger amounts, usually starting at £10,000 and can go up to £millions. Can be used for virtually any purpose, top choices being home buying, remortgaging to release equity, holiday home loans, buy to let mortgages, renovations / extensions, refinancing, larger purchases and debt consolidation. There are is a wide array of mortgage providers competing for different sectors of the consumer markets. Tying in with the average loan sizes being higher, the repayment terms available are longer than for other finance options. Usually range from just 5 up to 35 years which can help keep your repayments affordable. A wider age range of applicants can apply for mortgage loans, starting at just 18 and going up to 85 years (at the end of the mortage term). Sometimes these loans can become second chance borrowing options for customers who have incurred some bad credit. If you have had mortgage arrears, ccj`s, defaults or notable credit arrears in the last few years the majority of unsecured loan companies (particularly at the lower rate end) will decline your enquiry or you will be limited to borrowing small amounts. The mortgage loan lenders attitude to risk is different and you may still be accepted for their loans provided you meet important criteria such as affordability and equity levels. REPAYMENT CALCULATOR, enables you to see what your monthly mortgage repayments would be at different rates over certain loan terms and for a specific amount being borrowed. LOAN TO VALUE RATIO, also known as a loan to value calculator. This enables you to see what equity you are asking the lender to lend at. This is expressed as a percentage using the calculation, (amount borrowed/property value) x 100 = LTV %. You can Calculate Your LTV with our calculator and you will also see one of our lenders rates at that loan to value as an indicator. 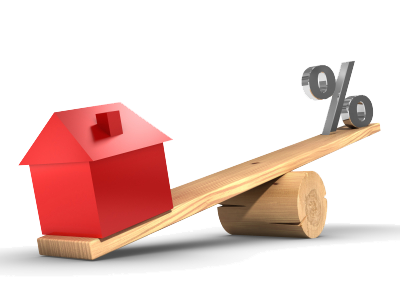 Interest rates on mortgage loans are often some of the lowest in the lending market, this makes them attractive for larger purchases such as houses, flats, holiday apartments, major renovations or to release some funds for any purpose by using some of your equity. Some of the plans are termed trackers and are linked to the lenders stand rate or to the Bank of England base rate and as this is currently at just 0.25% the rates on offer now are some of the lowest we have ever seen. Call 0800 298 3000 for free to find out what loan rate you may qualify for and see how much you could obtain and what your repayments would be. It is well known that many of those aged between 55 - 90 years old who own their own home (either with a mortgage or outright) tend to have more equity in their property than many of the younger age groups. Your `equity` is basically the difference between what debts you have secured on your property (usually a mortgage) and how much the property is worth. So if you own a property worth 200,000 pounds and have a remaining mortgage balance of 30,000 pounds your equity is 200,000 - 30,000 = £170,000. Income Boost Equity Release Mortgage For those who are retired or semi retired who have plenty of equity but would like to increase their income in stages you could consider a draw down lifetime mortgage. This is where a lender agrees to lend you up to a certain percentage of your equity / property value and you withdraw lump sums of money over a period of time. Interest is added to the balance and no repayments are made until your life ends or you move house or you go into permanent care. There are variants of this style of equity release so your adviser will help get you to the right one. Second Mortgages For Pensioners This is a loan that is secured in the same way as a mortgage but which sits behind your existing mortgage, so you do not have to settle the current mortgage to take out your second mortgage (also known as secured loans). Amounts range from 5,000 to 200,000 pounds and are a typical capital and repayment mortgage loan with a set period which the loan must be paid over each month throughout. 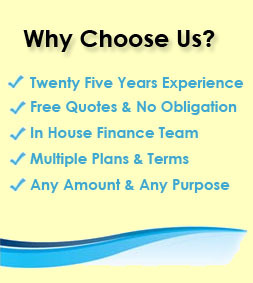 Secured loan lenders can be pretty flexible on purpose and some will allow terms to reach your seventy fifth year. Amounts and rates are affected by affordability, income, equity and credit rating amongst other factors. Personal Loans For Pensioners Whilst many unsecured loan providers tend to have a cut of around 65 years old for providing personal loans, not all lenders are the same and some may go beyond that age. Loans of this nature are not mortgage loans as there is no security involved and they tend to range from 500 to 15,000 pounds with terms of 2 to 6 years. - By giving you a deposit (known as a gifted deposit) to enable you to put enough money down to buy your home and to help cover fees involved in taking out a mortgage. Many mortgage lenders accept this form of deposit so always be transparent from the outset. - They could buy a home for you to live in, which you could then be gifted at a later date. There are tax implications with any sort of major gift or transfer involving property so check with a tax or financial adviser before getting things moving. - Some companies provide guarantor mortgages where you can get the family offering to help to join the mortgage, they will be equally responsible for meeting the repayments. This type of help can be useful if you are falling short on income requirements. Which conveniently brings us onto a huge factor in mortgage loan lending, …..income. It makes sense that this is looked at carefully, if the income to debt ratio is wrong it will lead to big problems later on, which we are all aware of in the not too distance past. In very broad terms a person or couple may look to borrow between four and five times their combined gross joint income . These days income multiples like this are not relied upon so much, for a mortgage to go ahead income and expenditure calculations are done to properly work out how much you can afford to pay on a mortgage each month. Everybody is different with the way they spend money and what they spend it on, so modern mortgages take into account your every day bills and living expenses to help you borrow sensibly. When taking out a mortgage or remortgage loan the value of the property involved is a key aspect and the lenders alongside yourselves want to know what the property which is going to be or is already your home is worth. 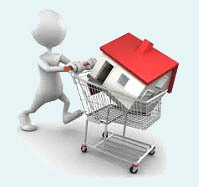 In the case of purchases, especially first time buyer mortgages you will need to pay for the valuation to be done. The result of the valuation will highlight if all is well in that area or point out what issues there are. The cost of these runs into several hundreds of pounds but is rarely much more than that unless the property is very large or requires a specialised valuation. With remortgages you may get away with not needing a valuation and if you do the lender may agree to pay for it, always be prepared to pay for it just in case. The maximum amount a mortgage loan provider will offer depends upon the equity levels you are looking to borrow to - the current maximum is around 95% LTV, so you will need to bring at least 5% plus any fees to the table. Alongside this your mortgage loan will be dictated by how much you earn, how much disposable income you have (so if you are a shopaholic get ready to cut down)and what your credit history is like. The more adverse credit you have lenders are more likely to either reduce the equity they will go to or not offer a mortgage loan. Some adverse credit mortgage loans now are around 85% loan to value, so in that scenario you need to have a 15% deposit plus any for related costs and fees. In the mortgage advisers eyes these two are basically the same thing. 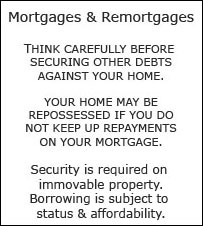 If it is a loan to buy a home or remortgage a home that is permanent (i.e. not a mobile home) and the loan is secured on that property then it falls under the mortgage definition. A home loan that is secured is therefore a mortgage, some people consider home loans to be a loan that is secured on your home but sits behind your current mortgage. This is another form of mortgage known in finance circles as a `second mortgage`, because it sits behind your first mortgage lenders charge on the property. These carry the same risks as a mortgage. Another variant on home loans is finance agreements used to buy static mobile homes or caravans. These are not classified as mortgages although if the borrower defaults on the finance agreement they may well still lose their static mobile home or caravan. The purpose is somewhat dictated by the amounts and terms, i.e. if you need 100,000 pounds to buy a house you are not within personal loan range, so a mortgage loan it is. Likewise if you want 3,000 pounds to buy a second car you are not in the mortgage range. There is clearly overlap but that is where things get a little more tricky. Mortgage loans are secured on property, usually the house you live in, so defaulting on your payments can cost you your home. Defaulting on any loan can lead to court judgements and even a court order for a charge to go onto your property to ultimately get their money back. Missing payments or failing on either route can damage your access to credit for many years to come. Let an First Choice Finance mortgage adviser search to find a mortgage even if you have been rejected finance in the past First Choice Finance have a range of mortgage lenders with specialist bad credit mortgage lenders.